You can easily embed your Cincopa Gallery in Webs website. 1. Create your Cincopa media gallery. 3. Go to your Webs dashboard and select “Other” from the lower options menu, drag it to the page. 6. Paste the Cincopa code to the HTML. 7. 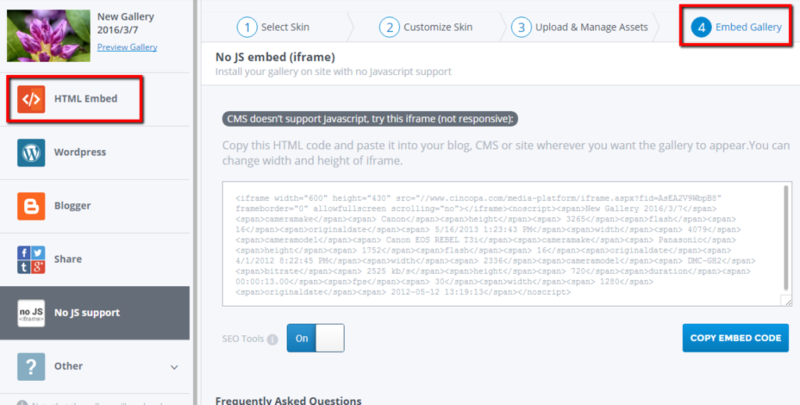 Save changes and publish your Webs site.